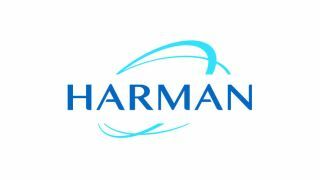 Harman Professional Solutions has added support of AES67 across networked audio and video product families. AES67 is a standard to enable high-performance audio-over-IP streaming interoperability between various IP-based audio networks. New Soundweb London BLU-806DA, BLU-326DA, and BLU-DA devices will support both Dante and AES67 natively, and will replace the BLU-806, BLU-326, and BLU-DAN devices, respectively. In addition to the new Soundweb processors and Crown amplifiers, new AMX Networked AV N2000 and N1000 Series Video encoders and decoders will be released with support for AES67, providing networked audio compatibility with BSS and Crown products. The model numbers of these encoders and decoders will be identified by the suffix A, denoting AES67. Support of AES67 by Harman video, processor, and amplifier products brings interoperability with other AES67 compatible systems and more options to facility upgrades. A forthcoming release of HiQnet Audio Architect will include the new Soundweb London devices and updated firmware for the Crown DCi-DA amplifiers. The same release will also include a firmware update for the existing Soundweb London BLU-806, BLU-326, and BLU-DAN devices, bringing AES67 functionality to devices already deployed in the field.